Born on the Isle of Wight, Cathy left at 17 to study at The Italia Conti Academy of Theatre Arts. She went on to enjoy a career as an actress and dancer in Film and TV. During this time Cathy had a parallel career working within the fitness industry and discovered the healing benefits of Reiki and yoga. It was after the birth of her two boys Cathy combined her skills and experience to set up a community minded business called Yoga4mums; supporting the mental health and physical wellbeing of mums during the various stages of their lives. Today, Yoga4mums is a multi award winning business that provides classes, retreats and products to all age groups and abilities. Based in North London the business has now expanded to include Yoga and Inclusive Movement Therapy training (IMT) for anyone supporting individuals and groups with Autism, learning disabilities and other complex needs. 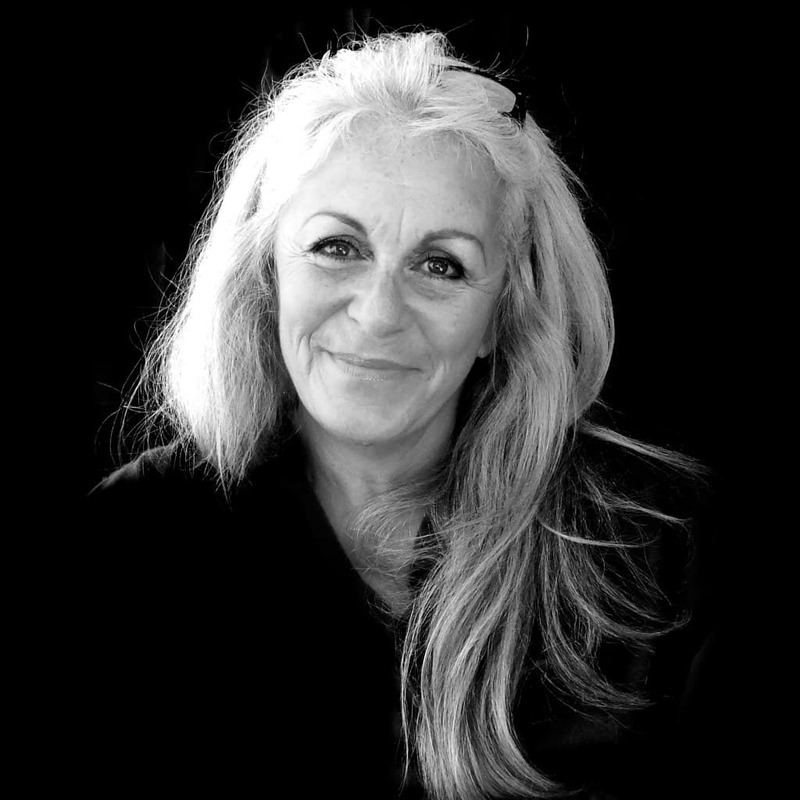 Cathy has senior yoga teacher trainer status with The Yoga Alliance Professionals UK and has recently become a Female Founder Ambassador with Enterprise Enfield and JP Morgan, championing women in business. Dora has been living Yoga for over twenty years and teaching for ten. A dedicated practitioner who continues to enquire and learn from some of Yoga’s most renowned teachers. Her teaching is guided by a heartfelt desire to provide every student with the tools to create a practice suitable to their own specific needs at any time of life or circumstance. Dora’s classes follow the principles of Vinyasa flow ( nyasa / to place, vin /in a special way ) working with Krama ( stages ) to take students safely and intelligently into Peak poses. Pranayama, Vedic philosophy and meditation are incorporated into a mindful flow. Her studies more recently are moving towards trauma sensitive Yoga and the application of Yoga Nidra and meditation in recovery from addiction, anxiety disorders and emotionally unstable personality disorder. Dora can design a Yoga Nidra experience to meet a range of needs from healing relaxation to pain management. This powerful form of meditation will help you unlock your own innate wisdom to meet life’s challenges with less resistance and more clarity. teaches her yoga on the Isle of Wight, nationwide and overseas. Her lessons looks for clarity and precision within a flowing asana style that evokes strength, gracefulness and laughter. Pranayama and meditation are woven elegantly into each session to evoke mindfulness and a journey towards presence. 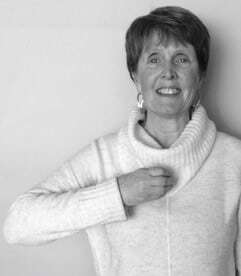 This experienced yogini believes that integrity and joy are greatest attributes you can bring to the practice and she guides her students to cultivate these qualities in a peaceful and nurturing environment. 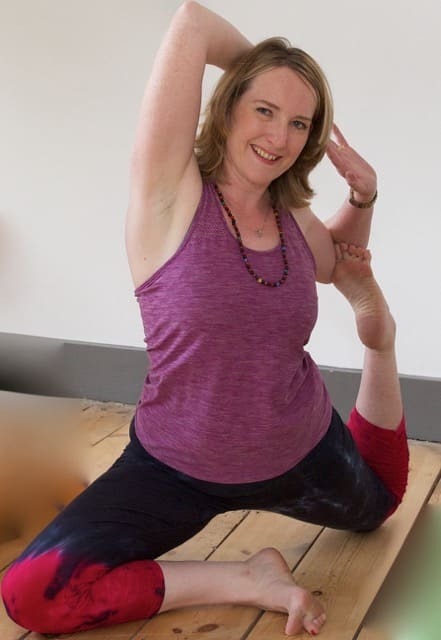 Emma is a senior yoga instructor with the Yoga Alliance UK. runs a yoga company called Yogabright and she teaches Anusara inspired yoga in London. Originally from the Isle of Wight she returns annually to share the beauty of the island with her mainland clients and to share the delights of Anusara with the island community. Her weekends are fun and uplifting, teaching a flowing class of movement with breath which brings flexibility and strength to the body and peace to the mind. 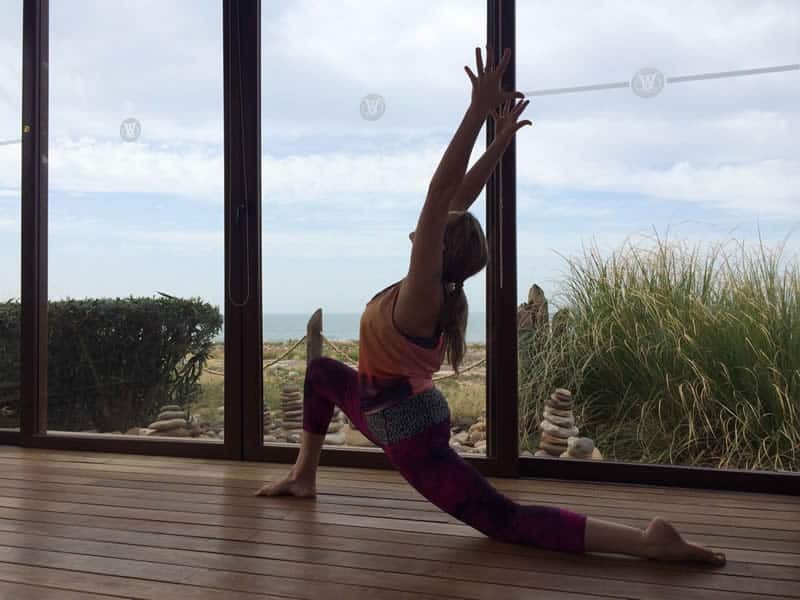 teaches vinyasa flow yoga in London and runs weekend retreats on the Isle of Wight. She is a passionate and caring teacher who is committed to empowering her students with the tools to develop a strong and regular yoga practice. Each class becomes a moving meditation, strengthening, purifying and creating greater clarity and ease in body and mind. A student teacher mentor, Laura is also Reiki 1 & 2 attuned and a ‘hot yoga’ teacher. Madison has worked with the energies of the body for over 30 years. An original student of Donna Eden (EDEN ENERGY MEDICINE – USA) she now runs the EEM European training school in Dorking and is a senior faculty teacher of the advanced training in Arizona. Her own work MADISON’S MEDICINE is a blend of all she has learnt, across different disciples such as Aromatherapy, nutrition, yoga, reflexology, Acupressure, Flower essences and more. With a true Beginner’s Mind, she is the eternal student and loves sharing what she learns. She is a published author; 7 books, all available on Amazon, over 100 articles and is regularly quoted in mainstream British press, even appearing on UK TV demonstrating energy medicine techniques. Madison left Central London in 2006 for a quieter life on the Island and in Southern Spain. Her retreats at the farm are a unique fusion of study, replenishing relaxation and play; that will nurture and nourish you amongst a small group of like-minded souls. Each retreat has a different focus, be it working on yourself or your pets – the key feature is that she is able to take complicated techniques and show how simple they are and provide practical tools you can take away and use straight away and for the rest of your life – and with a smile! A little bit about me…I love Energy! My passion in life is working with, teaching and empowering others to take control of their own health, wellness and happiness by working with the energies of the body. I love researching and practicing different healing methods and passing my knowledge on to others so they can get to know their true selves and learn to work with their unique energies. When our energies are strong, balanced and flowing we are Radiant! When we heal and empower ourselves we become a healing force for everybody around us. Good energy is contagious! These methods have helped me personally many times over the years and I believe can help everyone, regardless of their situation. If we want to be happy, healthy, well balanced and really thrive, we have to start at the level of our subtle energies. I am a certified yoga teacher in Hatha & Traditional Tantra with Satya Loka and have practiced Kundalini Yoga for 16 years, and taught it for the last 7 years. I am a full instructor with the Tai Chi Union of Great Britain, teaching Tai Chi, Qigong, Sound Healing & Meditation. I have been studying and practising for many years . EFT and Energy Medicine have helped me personally through many physical and emotional problems and I am constantly fascinated with how powerful and effective these methods are in helping people overcome all sorts of problems, and obtain not just physical health, but emotional and mental well-being. Most importantly it gives us the tools to control and improve our own health and healing and that of our family and friends. Join FYP for a weekend of pure, unadulterated movement in the gorgeous setting of Godhill Park Barn on the glorious Isle of Wight! Accommodation to die for, sumptuous food and fabulous scenery – what’s not to like? Mark will lead you on a merry dance through FYP World. There will be gentle ‘Mellow Yellow’ sessions, strong ‘Move On Up’ fare and of course, the superhero-like ‘FYP Groovers’! On top of that, we will investigate stick mobility work, locomotion skills and the beginnings of handstands! You will walk away brimming with new ideas and feeling supremely energised! If you’re not already, Mark will improve your strength, stamina, endurance, agility & mobility. Anyone from any physical discipline is welcome. Bring an open mind, sense of humour and a mask & cape. THE FREESTYLE YOGA PROJECT: energetic. Thrilling. Funky. A 21st century approach to dynamic yoga & movement. FYP believe you should work in different ways ALL the time. Many people come to us wanting to ease stiff bodies, find more flexibility in over worked hamstrings/joints – the elusive touching of toes, have a good ‘stretch’ (yawn! We do a whole lot more than that!) – YES – FYP can help with all of that! But what about thinking outside the box? Our take on yoga is probably unlike anything you’ve come across before. An all-round form of physical exercise, which might make you ditch your other ‘stuff’! The diverse ways we move and groove means you’ll challenge yourself in different ways – every single time you come. Be it a mellow flow, familiar yoga positions, through locomotion work to pole work, handstands, hanging from bars, jumping, crawling & rolling! You’ll even find that space for an hour or so to completely focus on yourself and your breathing – if that’s what you’re working on. We’re going to ask you to try things you’ve never considered before. We want you to step up to the edge, peer over it, take a deep breath and maybe set yourself another edge, maybe not today…maybe not tomorrow… but soon, very soon. We look forward to working with you! 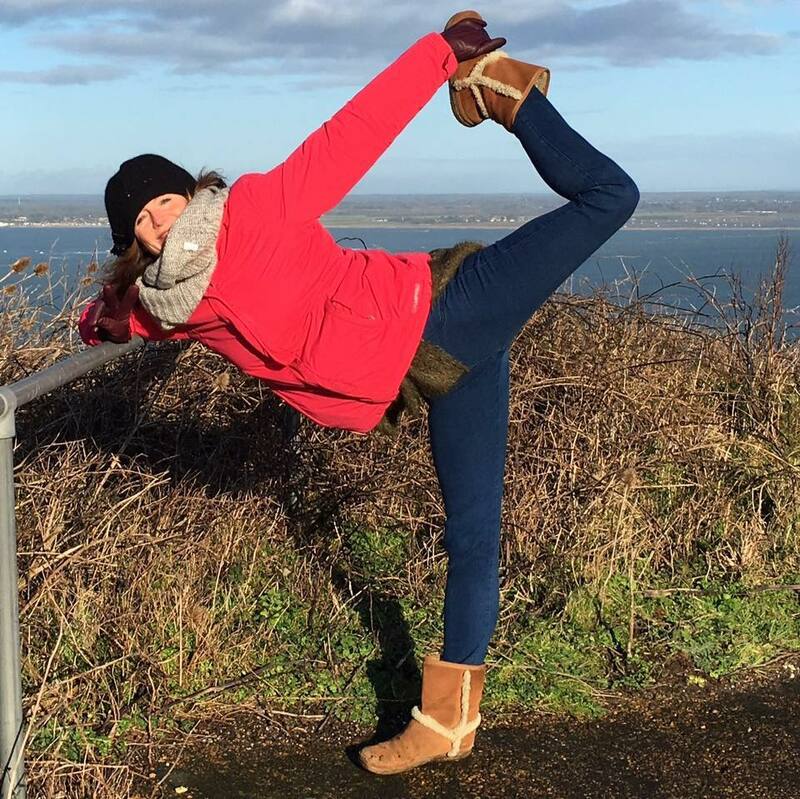 Megan has been practising Yoga for almost 8 years and qualified as a Yoga Teacher in 2016 having attended her 200 hour Sun Power Yoga Teacher training in Manchester. 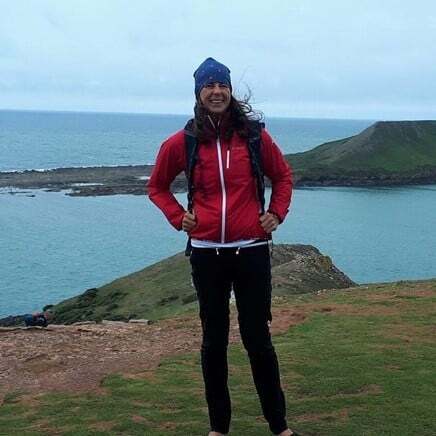 Megan runs regular Yoga classes in her home island of Guernsey, for beginners through to experienced students, private client and corporates. As well as the physical elements of Yoga, Megan incorporates meditation and pranayama into her classes, reminding students that the practice is as much for the mind as it is for the body. Having suffered with her own mental health issues, Megan advocates the importance of mental as well as physical health. Megan has also undertaken Forrest Yoga teacher training which focuses on finding and cleansing emotional and mental blockages that can limit our daily lives. In February she will be studying Yoga for Digestive Health as she knows first hand how debilitating digestive health problems can be, and these can often be linked to stress and mental ill-health. Megan‘s classes combine strength as well as flexibility, to ensure the body remains balanced and free from injury.